Easy going, happy, and eager to help, Timothy Patrick Olin II was a gift to all who were blessed to know him. With an unwavering commitment to family and friends, a generous heart, and playful spirit, Tim inspired others in countless ways.Though our days with Tim were far too few, the power of his life will long fuel our hearts and lives. Following a year of high drama where the nation was captivated by the Iran-Contra Scandal, the stock market crash on Black Monday, and President Reagan’s famous command in Berlin, Germany: “Mr. Gorbachev, tear down this wall!” Aretha Franklin became the first woman to be inducted into the Rock n Roll Hall of Fame, Bon Jovi had us Living on a Prayer, and Moonstruck roused our laughter and hope for a brighter future. 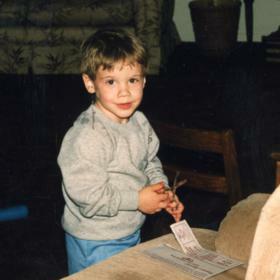 As the new year unfolded, nowhere was their more hope than in Grand Rapids, Michigan as Timothy Patrick Olin II was welcomed to the world on January 22, 1988. From the start, Tim was the center of his mother’s heart and world. His mother worked as a Medical Technician and his father worked as a tile setter. The couple divorced when Tim was just a year old, and the bond with his mother only grew stronger. His earliest days were spent in Grandville, where he attended and enjoyed a childhood typical of his generation. Hours were spent riding his bike, hanging out with friends, and listening to music. Tim also spent a good amount of time hanging out with his Grandpa Coalter and traveling with Grandma Coalter and his mother. Together they traveled to Niagara Falls, Disney World, and Gatlinburg Tenn. Tim loved water! If there was water nearby, Tim was sure to be in it. He loved the beach and made many great memories on the sand in the good company of his friends. 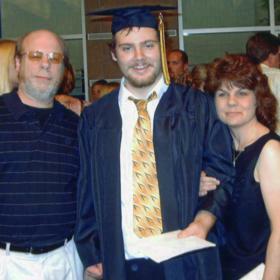 After graduating from high school, Tim attended ITT Technical Institute where he studied electronics. He learned a lot during his years at ITT and the study suited him. In time, he moved to Charlotte, MI and later to Lansing, where he worked for Sprint, and later T-Mobile. His specialty was working phone setups, repairs, and sales. When not working, Tim enjoyed pursuing his love of food. Whether eating sushi, beef stroganoff, or pizza, Tim relished in a good meal. He loved anything with vegetables in it and thoroughly enjoyed brewing up a hearty stew. Downtown Trini’s in Sparta and Kobe Japanese Steakhouse were two of his favorite restaurants. He also loved visiting the many breweries in Michigan and comparing their various styles and tastes. A master gamer Tim spent countless hours gaming. 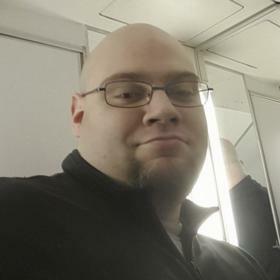 Gaming was his favorite thing to do and he especially enjoyed grinding away, accumulating XPs, and discovering Easter eggs with his buddy Tim Eric Kinkstra. A fan of Harry Potter, Tim knew the books and movies well, almost as well as his beloved Star Wars movies. When not working, gaming, or enjoying a good movie, Tim enjoyed unplugging and camping. One of his favorite spots was Yankee Springs Recreation Area where he camped just last summer. Tim also enjoyed the simple pleasure of spending time with those he loved. A happy, loyal, and deeply committed man, Tim could often be found in the company of his friends and family. 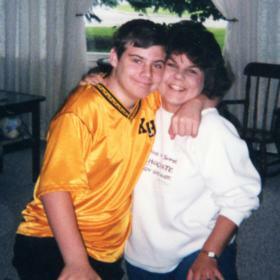 He was a loving son who enjoyed and fostered a close relationship with his mother. 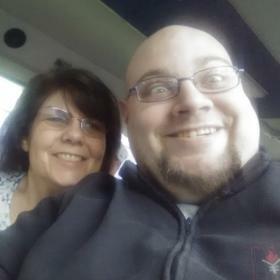 He and his mom shared many wonderful memories; grand vacations on two wonderful cruises, every holiday together, and the daily grind were all better for getting to share them with each other. Without a doubt, the world is uncomfortably quiet in the absence of Tim’s vibrant spirit. While it is beyond words to imagine life without Tim's steadfast presence, may we find comfort in our many memories of the man we were privileged to know. As we reminisce about his good nature, we will also remember his unwavering devotion and love for his family and friends. Each time we enjoy a good meal--especially stew, see Harry Potter or a Star Wars character, enjoy a challenging game, or set up our tents, we celebrate Tim’s legacy and the gratitude we have for the time we shared with him. In so doing, Tim’s spirit will continue to inspire others as he so inspired us.